While developing with Play/Java maven is more preferable, then sbt. It is the "native" Java tool and has a lot of plugins. 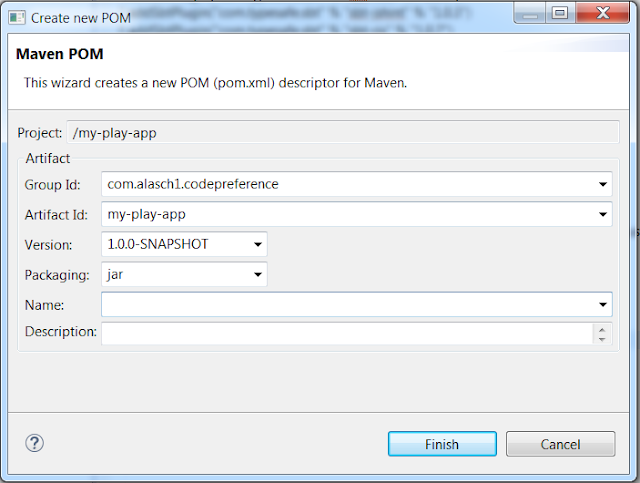 Another reason to use maven - when a Play application is a part of a project, managed with maven. 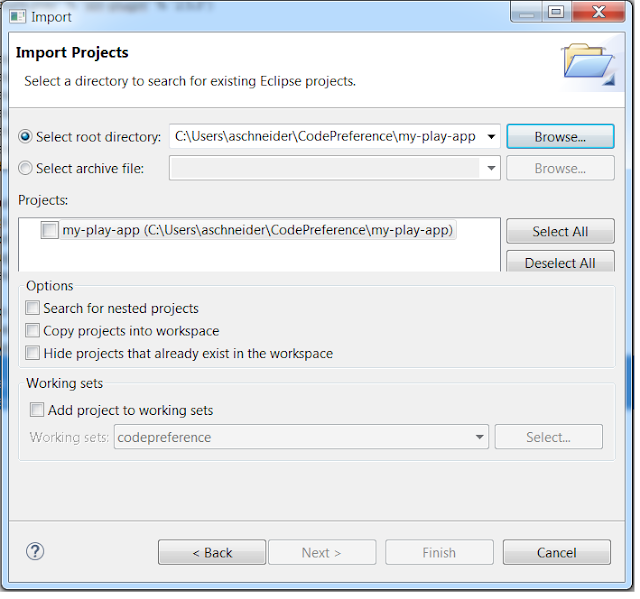 1.Create a new application my-play-app according to the post Getting started with Play Framework. 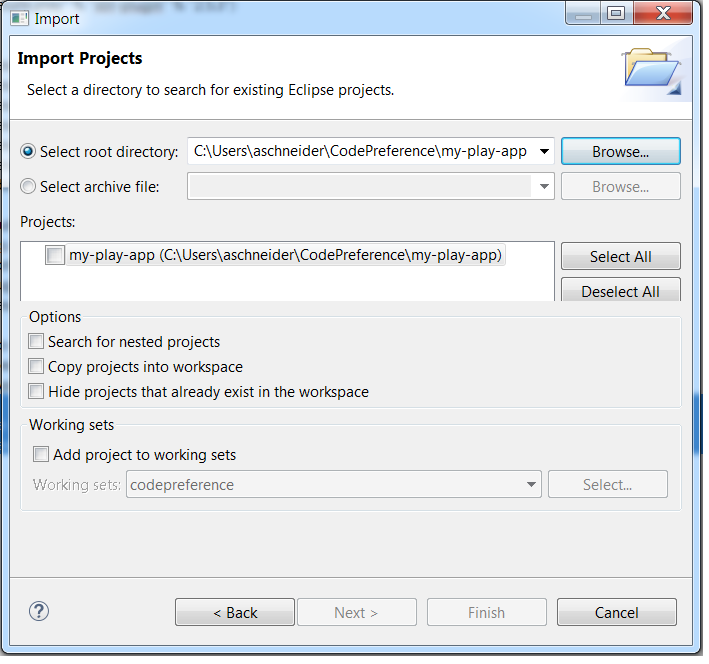 2.Create for it the eclipse project with sbt eclipse command according to the post eclipse IDE setting. resolvers += "Local Maven Repository" at "file:///"+Path.userHome.absolutePath+"/.m2/repository"
1. From the File menu select Import. 2. In the Select dialog chose the General, Existing Projects into Workspace and press Next. The project my-play-app will appear in the project explorer. 1. Right-click on the project and select Configure, Convert to Maven Project. ::     echo Execute the SBT tests. echo Error while executing the activator. Now the project may be compiled with either the maven or with the sbt. 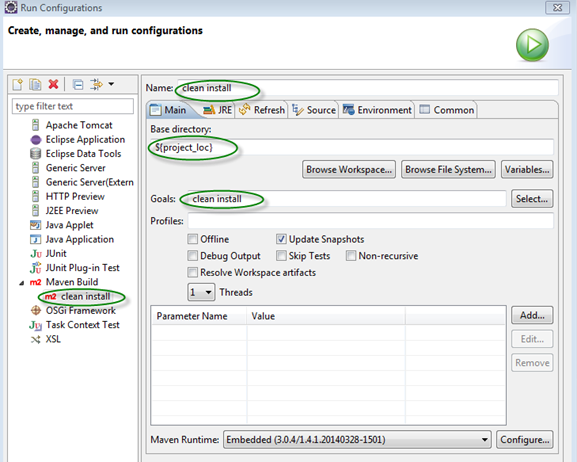 Eclipse provides several default maven configurations, like clean, build, test etc. But there is no the favorite mvn clean install configuration among the default ones. Let's create it. 2.In the Run Configurations dialog select Maven Build and press New. All the sources on Git.